The Amoco car and the the family #92 were put on display for the WoO show at the Grove on October 2nd 1999. Fans adorned them with flowers. 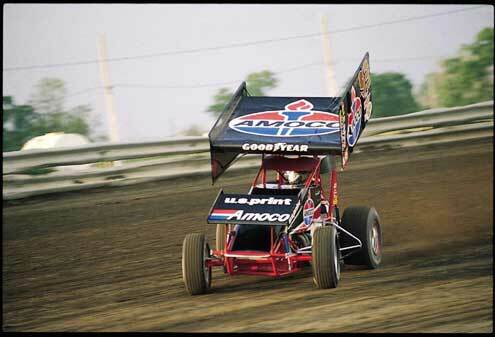 Kevin at speed in the Amoco #93 in 1999. 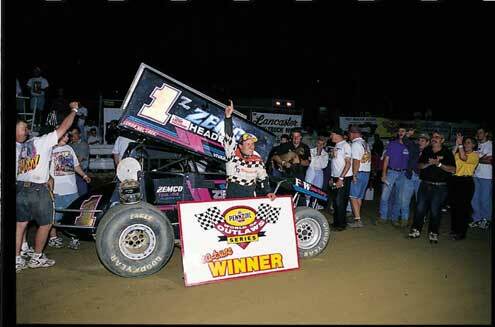 Kevin Gobrecht earns his first WoO win at the Grove in the Zemco #1 in 1998. In the family #92 in 1996. Feiser's Funeral Home is located on Route 30, just a few blocks west of the square in New Oxford, Pennsylvania. On a rainy night in late September, it wasn't hard to find. The line of mourners stretched for several blocks. The average wait was four hours. But they waited. In the rain. They had come to pay their respects to Kevin Gobrecht, a local hero, who died at age 30 in a sprint car crash at I-80 Speedway near Greenwood, Nebraska. They came from near and far, some in suits and ties, some in sprint car T-shirts. And they waited. In the rain. They could have chosen to attend the funeral a night later. It would be held in a different location to accommodate the anticipated crowd. The weather was to be perfect, and the Outlaws would be there. On this night, there were a few local racers, a promoter or two, and some media types, but mostly just fans who came to see the G-Man one more time. And they continued to wait. In the rain. It was just past midnight when the last of them paid their final respects. They didn't give up. They did what they set out to do. Kevin would have been proud of them. He too believed in doing what he set out to do. When he was 6 years old, Kevin and his brother, Brian, older by a year and a half, got on their bicycles and started out for the neighboring village of East Berlin to go fishing. It was about a 6-mile trip, a long way for two little kids on bicycles. They weren't even halfway to East Berlin when one of the pedals on Kevin's bicycle came off. Brian wanted to go back. He was sure his little brother couldn't make it. But Kevin wouldn't hear of it. He had intended to go fishing that day, and that's what he did. He made it all the way to East Berlin and back with one pedal. Twenty-one years later, he had just run the Sharon Nationals, and his plan was to go on to Attica in Central Ohio the next day. All of their help had to return to Pennsylvania. It was just Kevin and Brian again. Their truck cracked a piston, and Brian, using good judgment, wanted to go home. Kevin reasoned that since they had intended to go to the All Star race at Attica, they should give it a try, cracked piston and all. "We'll make it," he said. "Let's go." So they went. They had used tires, a limited inventory of spare parts, and no help. Kevin mounted tires and changed bars while other drivers watched their crews do the work. But at the end of the night, he had his first All Star win. That determination was evident throughout his racing career, which began in go-karts at age 8. He didn't do the things most kids do because he was either racing or working on his kart. Even in his high school years, he would work on the kart after school and, when it got late, take an engine into his house and work on it while he was watching television. His heroes included local sprint car stars Bobby Allen and Steve Smith. He liked them because they were hard-core racers who built their own cars and did their own work. And they would find a way to race even when the money had seemingly run out. He especially liked Smith, who used to sneak his own son Stevie and his little friend Kevin into the pits at Williams Grove and Lincoln when they were much too young to be there. As his go-kart career progressed to paved road courses, he gained respect for Formula 1 racers. He knew how hard it was to get a go-kart around a road course and could only imagine how difficult it must be to do those hairpin turns in a powerful F-1 car. His hero was Ayrton Senna, who, ironically, would be the victim of fatal injuries suffered when debris went into the cockpit of his race car during a crash. While Kevin was racing karts, he left high school before his senior year to attend Millersville University on an entry program. He would graduate from Millersville with a bachelor's degree in business and finance. 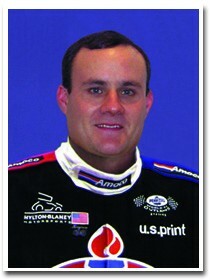 During his college years, he was racing and working in the family business, Golf Cart Services. The business reconditions, sells, and services golf carts in a 13-county area. Kevin was a mechanic and later served as the parts manager. Golf Cart Services is located across the street from the race shop, which is next to the small yellow house that Kevin and Brian shared. "This little corner on Route 30 is what we do," Kevin would tell Open Wheel in 1996. "We work for Dad, then at night, we go back and work on race cars. We've done it for so long. This is the way racing has always been for us." "When he went on his own, he took everything personally," recalls Brian Gobrecht, "and that's when he really started to win." Despite another 30 victories for Kevin, 1994 would be his last year in micros. It was clear that the fun was gone for him in that form of the sport. "One night, we ran a micro race, and I ran third and Kevin was fourth," Brian began. "The next day, we were moping around like we had just blown up both our motors." Brian told him they were done with micros. "I'll sell what I gotta sell, and we're gonna get a sprint car," Brian said. "If you run third and fourth and you're unhappy, it's time to move on. Because we'd won so many races, the winning wasn't as spectacular, but the losing was even worse. "I told Kevin he was gonna drive the sprint car. He was younger. He had more intensity, and he handled pressure better. He knew cars better than I did. He was in micros longer than I was. I always felt that if one of us had a chance to go far in racing, it was gonna be Kevin." "I thought, Something's happening here. Something good is happening here," Brian said. "We always wanted to be involved in sprint cars. Now we've got a sprint car. I'm helping to pay the bills on it, and I'm not enjoying it. I felt like I was missing something really special, and just like that, I was done. I quit racin' micros and started going to the races with Kevin." Three weeks later, the G-Man got his first win at Lincoln and held off Pennsylvania superstar Fred Rahmer in the process. 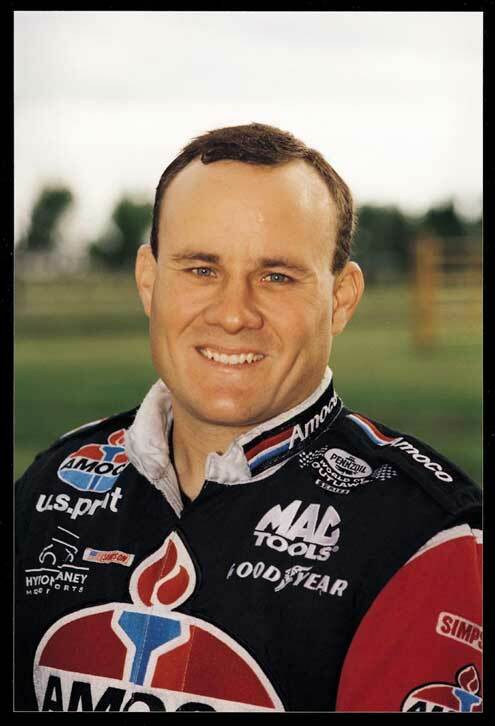 He also qualified for all six World of Outlaws races he entered in 1995 and impressed enough voters to be named the National Sprint Car Poll's Rookie of the Year. Haud wasn't spectacular on this weekend: "The Wild Child" was hurting, still feeling the effects of a crash at New York's Lebanon Valley Speedway. There was no way he could race the Big One. He would be sidelined for the next several weeks. "I was told he was a hard charger, but after I met him, I could see that Kevin was also a true gentleman," Elden said. "He was a very straightforward, honest person, and I liked that." So there was the G-Man in his second season of sprint car racing, subbing for one of the most exciting drivers on the WoO tour. He was in a car carrying corporate sponsorship, and working for one of the game's top owners. He debuted in the Big One, then went on to the Knoxville Nationals. Kevin had come a long, long way in a very short time. Haudenschild was back in a few weeks, and Kevin returned to Pennsylvania, but the G-Man left on good terms with his car-owner. "I was very impressed with him," Elden said. "If Jac and I had ever parted, I would have hired Kevin." Kevin closed the '96 season with the aforementioned All Star win at Attica but during the year had gained a close friend in Lee Stauffer, who, along with his father, maintained the Apple Chevrolet car on the Pennsylvania circuit. Since Kevin and Lee were both eligible bachelors, they spent whatever free time they could find trying to pick up girls, says Stauffer. "We were in the same situation when we were in school," he began. "My dad and I worked in our shop seven days a week. Kevin and his brothers did the same thing at their shop. It wasn't that we didn't like girls when we were younger. The opportunity just wasn't there. We wished it would've been." "It was evident that he was gonna be a helluva race car driver," Stauffer said. 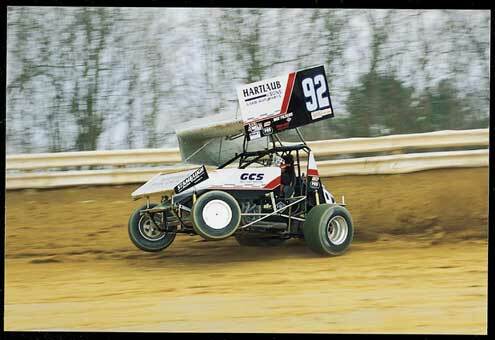 Kevin was following Fred Rahmer and Keith Kauffman into one of the best rides in Pennsylvania. For a local driver in his third season of sprint car racing, all those things spelled pressure. "Kevin was frustrated. I was frustrated. My dad was frustrated," Lee said. "I called him up and said, 'Kevin, it just didn't work out. I'm sorry.'" "Because of his passion. His will to win. Every lap he was gonna give 110 percent. That's why he wrecked so much," Stauffer said. "You get tired of fixing cars after a while, but you get tired of running eighth, too." He knew Kevin would never be content running eighth. So did John Zemaitis, who, in July 1998, offered a part-time job driving his Zemco #1, since the car's primary driver, Billy Pauch, had commitments to race a modified on Saturday nights. The G-Man won a race at Volusia, then the next night flipped out the ballpark in a frightening crash in which his car erupted in flames, "I was upset with him (because of the crash) at Volusia," said Lee, who watched his own driver, Greg Hodnett, help Kevin climb out of the wreckage. 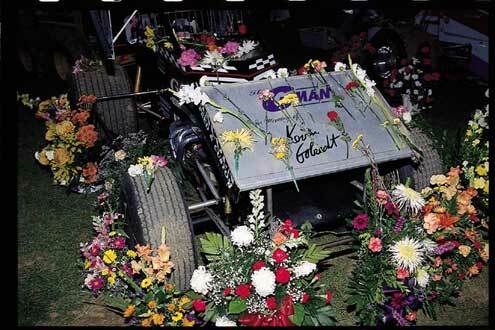 "He was such a calm person outside the race car. I don't know what clicked off in his head when he strapped in. I told him he needed to calm himself down." The former World of Outlaws champion and current Busch Grand National ace needed a driver for his sprint car, and he wanted the G-Man. It was a full-time WoO deal, complete with a highly successful crew chief in Kenny Woodruff and major sponsorship from Amoco. Blaney had his pick of drivers. Why Kevin Gobrecht? "He was winning races consistently in Pennsylvania, and that's the toughest weekly thing goin'," Blaney said. "Those guys have an edge as far as learning how to race on a big track. He was the obvious choice to us." Kevin flew to Atlanta to meet with Blaney and the Amoco representatives. Kathy Leech, motorsports manager for BP Amoco, was at the meeting. "He impressed me as being incredibly intelligent," she said. "Very confident without being cocky. Very well-spoken. He just seemed that he would represent us extremely well--and he did." The Amoco deal seemed like a no-brainer. It was clearly one of the best rides in the country. But, according to Brian Gobrecht, Kevin thought long and hard before accepting. "He knew Dale (Blaney) didn't go very well in that car. Suppose it wasn't Dale. Suppose it was the car. Kevin thought he might get in the deal and look like a jerk," Brian said. There were other reasons for his soul searching. "It happened so fast," Brian continued. "At that time, Kevin was still a golf-cart mechanic who raced part-time. And he got along so well with that whole Zemco crew. He knew how much fun he was having with them." Still, the offer was too tempting to resist for a man two weeks shy of his 30th birthday and only four years removed from micro-sprints. "He made the decision because he was a part-time driver who had a chance to be an Outlaw," Brian said. "This was his shot, and if he wouldn't have taken it he would've always looked back and said, 'What if...'"
A few days later, the G-Man experienced what corporate sponsorship is all about. He found himself in a convention center in New Orleans greeting 3,000 of Amoco's best customers. "For three days, he sat and signed autographs and charmed everyone," Kathy Leech remembered. "He found a way to connect with every person he met." "Kev and Kenny got along fine," Brian said. "They got along like a driver and crew chief should get along. They didn't always agree, but anybody who felt that those two hated each other was just reading between the lines and didn't know what was going on." That afternoon, Kevin told Brian he felt more relaxed on that old fishing boat than he'd been in two months. The G-Man was comfortable again, and his confidence was back. In his first weekend in the new car, he won the Big One at Eldora. A week later, he ran third in the Knoxville Nationals. The six-week Western swing was next, and Kevin recorded 9 top-10 finishes in 14 starts. "We had some good nights and some rough nights," he said of the Western tour. "Racing in California is not like racing anywhere else," he said. "California was nice, but I'm glad to be going back to some places that I've at least seen before. It'll be nice racing on those big tracks, where we can really get going." Within 10 days of the final Western stop at Rock Springs, Wyoming, he expected to be home. Back with his family in New Oxford. Back racing at the Grove in the National Open. "I'm looking forward to getting back to Pennsylvania," he said. "There is going to be a lot of pressure on me to do well there, but I've got pressure to do well every night out here." "He was living a dream," Brian said. "One week he was jet-skiing in California, the next he was riding the sand dunes with ATVs. He was doing all the stuff he never got to do before. "The more we think about it, the more this whole deal seems like fate. This year was going so good for him on every level. He was very much in love with Bobbi. The way he started the year in Pennsylvania was just about perfect. Then he got the Outlaw ride. Things didn't go real well with the Outlaws at first, but maybe it was fate that he didn't qualify at Lernerville. That made them take a few days off to put cars together. It gave the family one last chance to bond with him. It gave us our last chance to get together as a family and do things. We didn't know it at the time, but he was never coming home again. "Winning the Big One. Running third at the Knoxville Nationals. It was almost like the Lord was saying, 'Boy, you're leaving this world soon, but we're gonna let you fulfill all your dreams before you go.'" Rest in peace, G-Man. Used with permission from Doug Auld of Openwheel. Thank you for allowing this to be published on this web site. "KEVIN GOBRECHT TRIBUTE WEBSITE." ALL RIGHTS RESERVED.